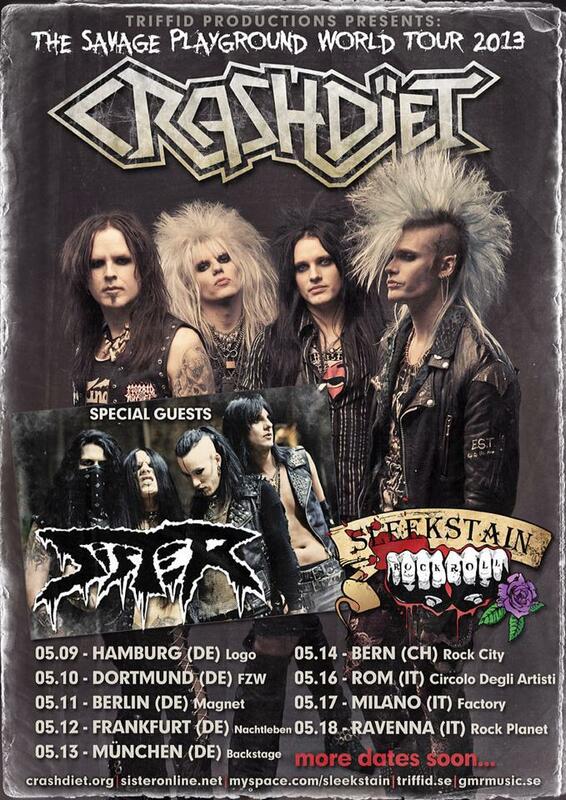 Rock & Metal 4 You: CRASHDIET touring Europe in May 2013! Crashdiet announced the first tourdates from their "Savage Playground World Tour 2013". You'll find the dates below in the picture. More dates will be confirmed soon.